This is “Procurement Plan”, section 12.2 from the book Beginning Project Management (v. 1.1). For details on it (including licensing), click here. Describe the role of suppliers. Describe the role of vendors. Describe the role of partners. After the outsourcing versus self-performing decisions are made, the procurement team develops the purchasing plan. The method of purchasing products or services depends on the uniqueness and importance of the product or service. One way to organize the procurement plan is by the type of relationship with the providers of the outsourced goods or services. Some of the goods or services are commonly available with little variation in quality or availability. Such goods and services are called commoditiesItems that can be bought off the shelf with no special modification for the project.. The providers of commodities are suppliersSource of commodities. and there are usually several from which to choose. Purchasing commodities from suppliers focuses on achieving the lowest cost. Cost of commodities can often be found in the supplier’s catalog. On smaller, less complex projects, supplies can be purchased as needed from the supplier’s catalog. Additional cost savings are often available if large quantities of a commodity are purchased from the same supplier. On larger, more complex projects, a list of materials and supplies is developed from the project cost estimate. This list is provided to suppliers as a request for quote (RFQ)Requires a bidder to provide a price and additional information for a defined scope of work., and the suppliers respond with their lowest price. To avoid choosing a bidAn offer to provide something of value for compensation. A bid can be written or verbal and can be in response to a solicitation or unsolicited. from a company that will make a promise it cannot keep, many organizations will maintain a list of suppliers that meet the organization’s requirements. These requirements usually include the proven ability to meet the quality and schedule specifications. The project management team develops a procedure for requesting a quote. 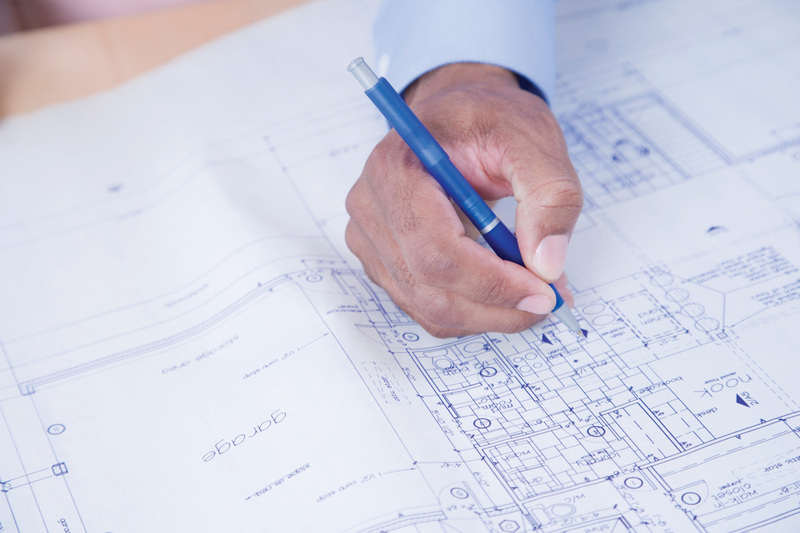 On smaller projects, the parent purchasing organization may process all RFQs. On larger projects, a procurement organization is established with expertise in purchasing. The purchasing team will develop a list of all procurement requirements for the project and develop a procurement schedule that assures the materials will be available to the project when needed. The project team develops an RFQ based on the quantity and schedule needs of the project and sends the RFQ to the identified qualified suppliers. The suppliers then develop a quote that lists the specific materials to be provided, the price for each, and a schedule for delivery. The project team evaluates each quote from suppliers and determines that the supplier bid meets all the requirements, and in most cases, the supplier with the lowest price will be awarded the bid. A housing contractor who is building ten identical houses develops a materials list that includes all the carpentry, plumbing, and electrical supplies needed to build all ten houses. The housing contractor develops an RFQ for all these materials, including the construction schedule, and submits the RFQ to the four largest building supply companies in the region. Each of the supply companies decides to bid on the project and provides a bid for the materials in the RFQ. One of the bidders has the lowest price but is unable to deliver the materials to the job site. The project team calculates the cost of transporting the materials to the job site. After the cost of transportation is added to the bid, it is no longer the lowest total cost. The bidder with the total lowest total cost is awarded the contract. Some organizations that do a large number of projects will develop a relationship with one or two suppliers based on developing cost savings for both organizations. This relationship is commonly called a key supplierA person or organization supplying goods or services to the project that has a special relationship with the project or parent organization and might bypass the bidding process. relationship. The housing contractor develops a key supplier relationship with one or two of the building supply companies. The building supply company would guarantee a 10 percent discount on all materials and the contractor would promise to purchase exclusively from the key supplier. Both organizations save the cost and time associated with preparing the bid. 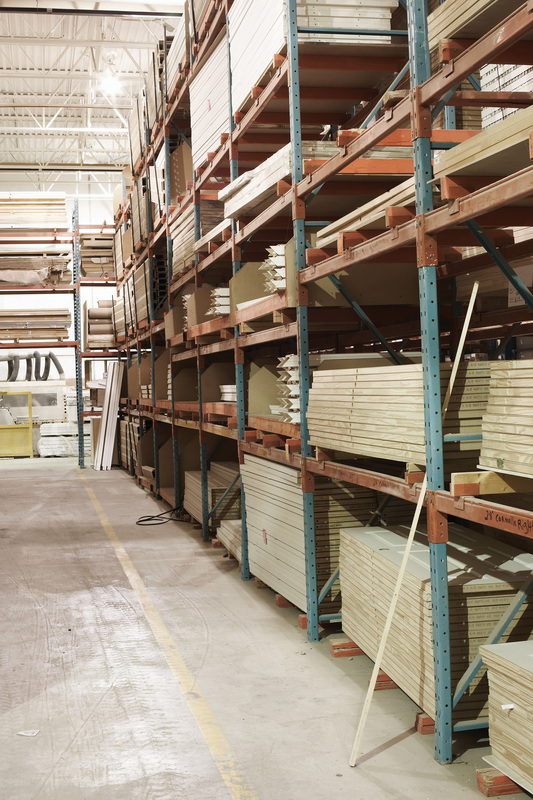 The building supply company plans on a consistent volume of business from the contractor and the contractor can expect priority treatment when supplies are scarce. Products and services from vendors need input and insight from the vendor. Instead of issuing a request for quote (RFQ) for a list of commodities, the project team issues a request for proposal (RFP)Requires a bidder to offer solutions and ideas on how to perform the scope of work and a price for performing that work.. Companies responding to an RFP are invited to provide creative approaches to adding value to the project. Bidders are encouraged to offer design alternatives, alternative uses of materials, and scheduling alternatives that meet all the project requirements and also reduce the total project cost. The bids are evaluated on the total value to the project, including the contribution to the project goals. A copper mining project in Argentina included the design and construction of the mine site, the extraction of copper from the raw materials, the building of a pipeline to transport the copper ore to the Atlantic coast, and the construction of a port to enable the loading of the copper ore into various size ships. The construction materials, such as lumber, steel, and concrete, were purchased through suppliers, including key suppliers. Some of the equipment used to extract the copper ore from the raw materials costs several million dollars and is only fabricated by a few companies. The project team designs the equipment to meet characteristics of the mining environment in Argentina: size, hardness, and composition of the raw material. The bid documents sent to the mining equipment vendors included the design specification and performance specification of the equipment, the project schedule, and the mining process. A request for proposal (RFP) was issued to each of the vendors. Vendors provide solutions in response to an RFP. Because vendor performance is critical to the success of the project, the management of the vendor relationship is a project management priority. Project management will often implement processes that encourage the vendors to submit suggestions that will reduce total project cost, shorten the schedule, or improve the performance. The project management team will often assign someone from the team to monitor the relationship and provide support from project resources to help assure vendor success. If the parent organization lacks key skills or relationships, it might work with other organizations as partners—especially on international projects. In the Argentina mining project example, the United States parent organization had project management, engineering, procurement, construction, and mining technology expertise. The company also had relationships with major mining equipment vendors. The U.S. construction company partnered with an Argentinean company that had expertise and relationships important to the success of the project. The Argentinean company contributed local knowledge of the construction workforce; local engineering and construction practices, knowledge, and expertise in the government permitting processes; and an existing relationship with potential key suppliers and local vendors. A partnershipFormal arrangement to execute the project with each party contributing resources. is a formal arrangement to execute the project with each party contributing resources. In most partnerships, both parties benefit from the success of the project and share the costs associated with a less successful project. Critical to the success of a partnership is the clear definition of roles and responsibilities on the project, a common understanding of the project goals, and a scope of work for each partner. Partners provide missing skills and relationships. Building the relationship between major partners on the project is similar to building relationships with clients. On a large, complex project, a partnership alignment session is often required to build the trust required for open communication channels. Maintaining the relationship permits more effective problem solving and coordinated action on the project. A well-managed partnering relationship can contribute to the achievement of project goals, reduce overall costs, and shorten the project schedule. In most cases, the parent organization is aware of weaknesses in the project resources or skills and searches for a potential partner that has the needed resources or skills. In our Argentinean example, the parent company knew that construction experience in Argentina would be important to a successful project. Both companies will research the capability of the other company to assure that the partnership is appropriate for both companies. On a project to build a new biotech plant in Puerto Rico, a large engineering and construction company selected a Puerto Rican civil engineering company to design the site work on the project. Because the plant was needed quickly, the project schedule was an important component of every discussion and meeting the project end date was a major goal. The Puerto Rican Company was asked to begin developing the civil drawings early, before much of the needed information had been developed. This was a situation where a partnering relationship would benefit the project. 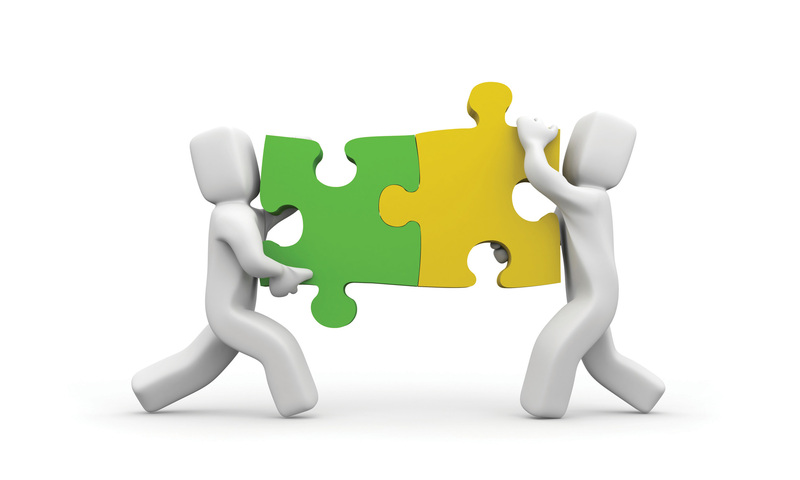 Both companies would mutually support each other to achieve project goals and both would benefit from project success. In this situation, the project procurement plan specified the development of a subcontract for the civil engineering, and a contract was developed with a clear scope of work and a cost based on completing the work in the contract on time and according to specification. Because the aggressive project schedule required the civil engineering company to begin work before all the needed information was available, change orders were required when new information became available. The contract allowed several days to evaluate the impact of the change on cost and schedule, and the time evaluation process began to cause delays in the project. Eventually, a new contract was developed to make the Puerto Rican company a partner. These new partnering arrangements allowed the engineers to get early information and contribute ideas that would shorten the schedule. This case is an example of the need to evaluate the project goals and environment and develop a procurement strategy that matches the conditions of the project. Commodities are purchased through suppliers using a request for quote (RFQ) and selected on the basis of price. An exception is the key supplier relationship where the supplier-organization relationship is long term and the supplier passes along some of the savings of avoiding the bidding process. Vendors provide products and services that are designed for the project based on a request for proposal (RFP) that invites the vendors to meet the goals of the request using their products and skills. If the organization lacks key skills or relationships, it might form a partnership arrangement with another company to share the benefits and risks of the project. Commodities are described in an ______ (three-letter acronym). The objectives of the work are described in an _____________ (three-letter acronym), and the details of how to accomplish those objectives is proposed by the vendor. If a project takes place in a different country, the project team might seek a _________ with a local company to provide local contacts and expertise in local issues. What is different about a key supplier relationship? What is the difference between an RFP and an RFQ? How is a partnership different from a vendor relationship? Internalize your learning experience by preparing to discuss the following. If you were building your own house, what would be an example of something that would be procured using an RFQ and something that would be procured with an RFP? Describe how your choices meet the descriptions of products or services procured from suppliers or vendors.